Joining the conversation today is Ian Vacin, vice president of marketing with Xero. 1. We all know the trends that are impacting the profession today — social, mobile, the cloud. What are the next big trends that CPAs need to pay attention to? Ian Vacin: We see huge potential and a huge future in emerging small business technologies. More specific, there’s a real need to apply vertical marketing techniques within accounting practices. CPAs and bookkeepers are all looking for their special niche to call their own — but they can’t do everything on their own. The key to success is focus, which comes in three forms: (1) client services offered; (2) vertical expertise; and (3) support of firms of a particular lifestage type (like startups). Focus starts a tangible series of events. Focus allows for specialization. Specialization leads to better, more consistent client service plus higher client perception of value. And increased value perception leads to increased profitability per client and engagement for a firm. IV: CPAs are already changing their roles. They’re no longer just a mere part of the business puzzle. They’re much more proactive as advisors and consultants — and in fact, are better seen as trusted advisors and consultants. The role in the future will always be financial focused because that’s the lifeblood of any business. But the role will be sought to offer direction and influence success. Clients will expect their CPA to know the ins and outs of different industries. Clients will look to their CPA to provide a whole-scope view, not just the financial view. A CPA will no longer be thought of as just “the tax person” or “the person who does my books.” You’ll go to your CPA and say, “I want to buy a property” or some other asset — and you’ll fully expect your CPA to help you figure it out. And not only from the perspective of what you’re buying, but what you’re going to do with the purchase in the big picture/holistic view. Remember, the best surefire way to fail is to work in your business and not for your business. You have to leave your shop and observe what’s going on outside around you — and your CPA can help you do that. Your CPA can help you with marketing strategies and business development. IV: From Xero’s perspective, we’re changing in that we’re always adding connections or new relationships to make our clients successful. Let me talk about the word “connections” for a moment. We’re always looking to expand how small businesses connect with each other, with large businesses, with financial institutions, with government and with other critical small business software and services. When we provide these connections, we empower small businesses to make smart decisions. We give them the tools to make smarter data-driven decisions — and as a Xero Partner, they have the resources to work in the way they desire with their clients. In fact, our Partners always tell us how much they love the online collaboration, because everyone can look at the same data at the same time. We also provide access to marketing leads, training, promotional materials, dedicated support and other resources to help their business grow. A great example is our add-on partner community. If a client has a partner they love — maybe a mobile payment tool, a payroll tool, Google Apps — it can be easily integrated with Xero. 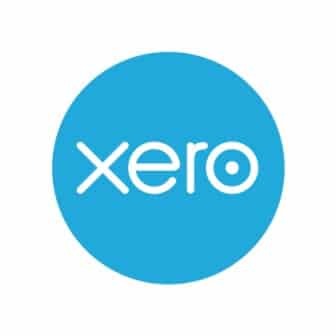 This provides our Xero Accounting Professional partners and their small business clients the ability to create “best-of-breed” solutions. If you think about it, “best-of-breed” anything was reserved only for enterprise-sized businesses a decade ago. Now, small businesses can enjoy these benefits to construct individualized, powerful and simple business infrastructures. This allows them to work more efficiently and more cost effectively. In this way, small businesses can better service their customers and ultimately make the world a better place. And because we’re always pushing this breadth and depth to help our partners, we always have to stay nimble. That’s why our teams work hard to release enhancements to Xero every three to six weeks. 4. What’s the most important thing Innovation Summit attendees need to know about your business? IV: Xero is not just about the cloud or cloud computing. The reality is that Xero is a lot more than online accounting software — it really is a platform. Xero is a platform for small businesses to construct their best-of-breed business infrastructure and a platform for their trusted advisors to support them. This is not just something we say. It’s actually part of who we are. We do everything we can to support small businesses. One of our core company values is Human. This means building relationships, providing technical expertise and other resources — and being available to support you. We’ve been doing this since 2006. Our model has been a proven success and we’re not going away. Our CPAs and accounting professionals deserve that dedication from us.